Sometimes it’s not just how a product plays or looks that sets an impression, it’s also how you present it to a discriminating public. 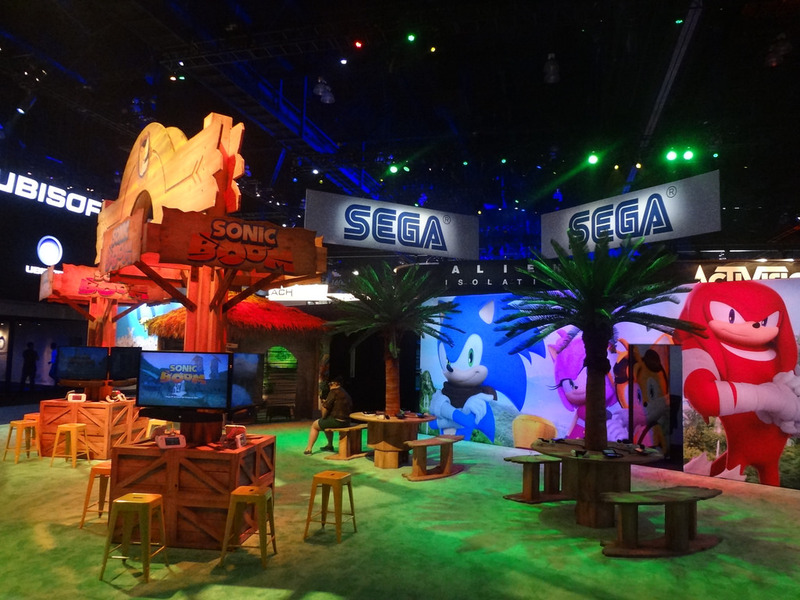 Sega’s PR team have made sure to keep design threads and trends in the game consistent with their E3 booth for Sonic Boom. A canopy style layout greets visitors, with several kiosks available to play both the Wii U and 3DS version of Boom. Also on display are some finished prototypes of the Sonic Boom toy line. They’re a perfect yin to the yang of the giant statues that are also dotted elsewhere in the Boom booth. Sega has just released a video tour of their own with Aaron Webber acting as MC, which we’ve embedded below. After that, some more Sega provided photos of the layout.